The new Apple News app has launched with iOS 9, the app is available in the US at the moment but it will also be available in the UK, Canada and other countries shortly. If you are outside of the US there is a way to get the Apple News app on your iPhone or iPad, this involves changing the region setting on your device. In order to do this you will need to got to Settings > General> Language & Region, you then need to select Region and then change your region to ‘United States’. Once this is done your iPhone or iPad will be set to the US region and the Apple News app should appear on your device, if it does not you will need to reboot your iPhone or iPad. There is a downside to this as your device settings will now be changed to US, things like measurements will be on US settings. 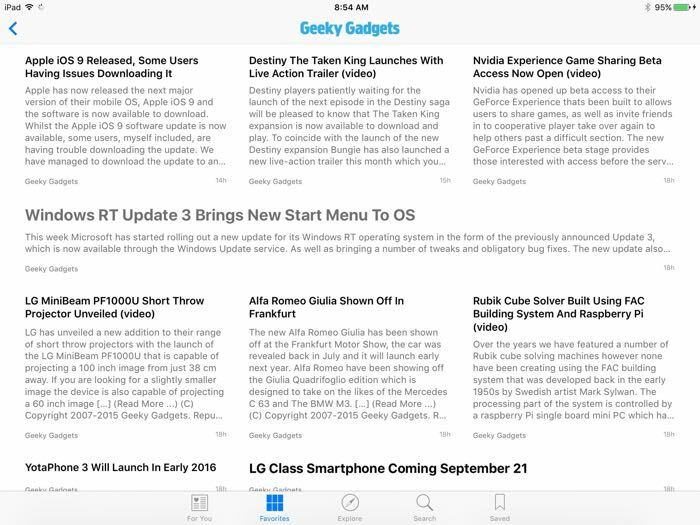 Geeky Gadgets is on Apple News and you can add us to your favourites on the app by searching for ‘Geeky Gadgets’.